The China Dream is the dream of a nation; the American dream is the dream of an individual. In a previous article for The Diplomat, I argued that the “China Dream” does not challenge U.S. global leadership. A brief comparison between the China Dream and the American Dream can further explain how the China Dream is different. Ultimately, the China Dream is not meant as a universal dream but as one alternative among many. All politics is cultural, just like all politics is local. While individualism has prevailed in Western societies and political cultures for hundreds of years, China has a strong tradition of collectivism and even authoritarianism. Collectivism and the spirit of unity have virtually dominated Chinese culture, society, and politics for thousands of years, ever since the time of Confucius (551-479 BCE). Chinese culture, or in a larger sense Chinese civilization, helped cast and shape China’s unique contemporary domestic politics and its political culture. Underpinning Chinese contemporary politics are a great number of traditional values and beliefs such as the importance of order, reverence for authority, the virtue of rulers, and most importantly, collectivism or unity. These cultural backgrounds determine political perceptions and ideals. Many Westerners view the state as a “necessary evil” and believe that individuals should constantly remain alert in their efforts to confine and try to contain the beast. By contrast, the traditional Chinese view sees the state as an extended and (more importantly) a united family to which they should show their love and reverence. In fact, the word for country in Chinese, guojia, combines the characters for kingdom (guo 国) and family (jia 家). For decades, the American Dream has inspired individual creativity, proactivity, and positivity on such an unprecedented global scale that it can be regarded as a “world dream” to some degree. The American Dream is shared by thousands of immigrants from all over the world who hope to improve their lives or even the world through the uncompromising pursuit of their individual dreams. 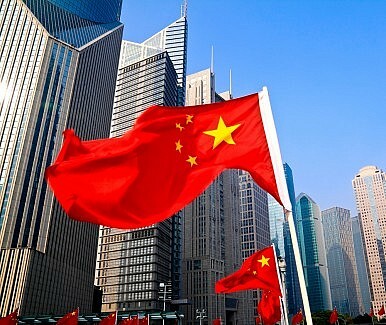 The China Dream has been defined very differently, as the dream of “the great rejuvenation of the Chinese nation.” Rather than celebrating individual aspiration and endeavor, the China Dream emphasizes a collective effort from all Chinese people in gradually achieving China’s yearning for a “great rejuvenation” in the 21st century. While both “dreams” hope for success through hard work, the American Dream stresses the spirit of freedom and social mobility, while the China Dream (although it incorporates individual dreams) pinpoints unity and stability. Also, the China Dream is unique to the Chinese people. Unlike the American Dream, it speaks only to the members of the Chinese nation and is not meant to be adopted by the world. It’s inappropriate to argue over which dream is “better.” Different cultures have cultivated different values, beliefs, and different political cultures, which cannot be judged with a single meta-narrative. Obviously, the China Dream is different from the American Dream, but that does not necessarily lead to an inevitable clash between these two dreams or even these two states and cultures. In fact, their very differences might make it possible for the two to co-exist. “Seeking common ground while reserving differences” is a core value and principle of China’s culture and its foreign policy as well, and it certainly is a core value that is deeply embedded in the idea of China Dream.